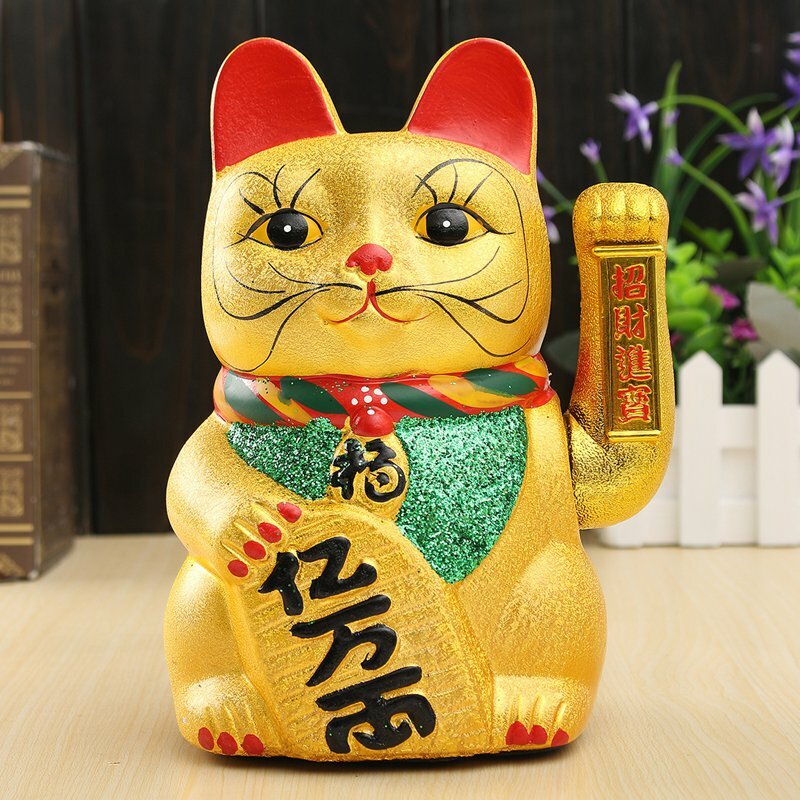 The waving cat is a traditional symbol of good fortune in China and is often seen in the windows of businesses there, welcoming customers inside. The raised paw is displayed to ensure a prosperous business. 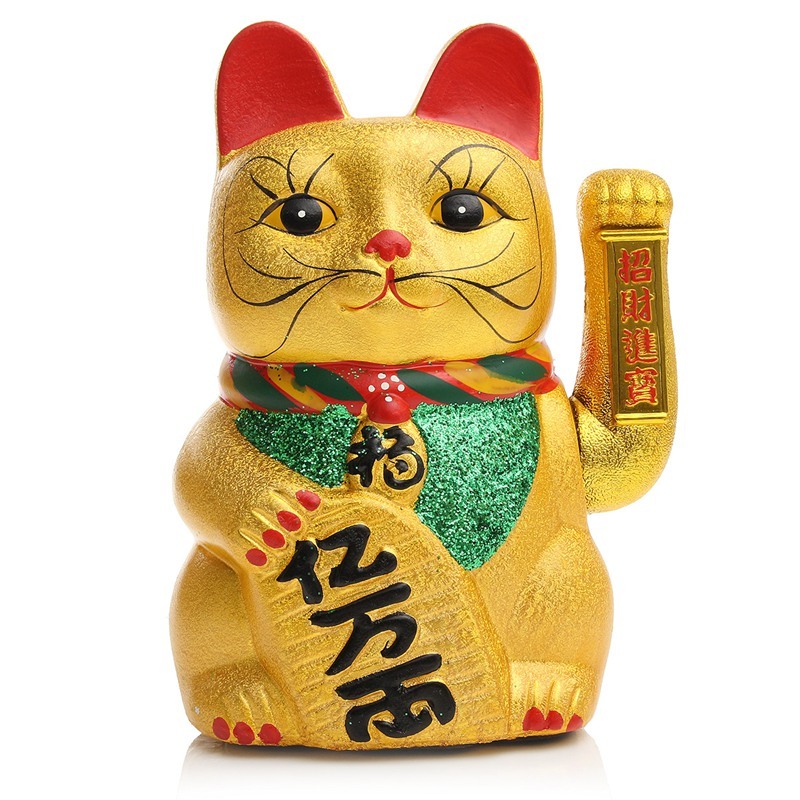 Also known as “fortune cats” and “money cats”. 1. Made of high-quality ABS material, strong hardness and very durable. 2. 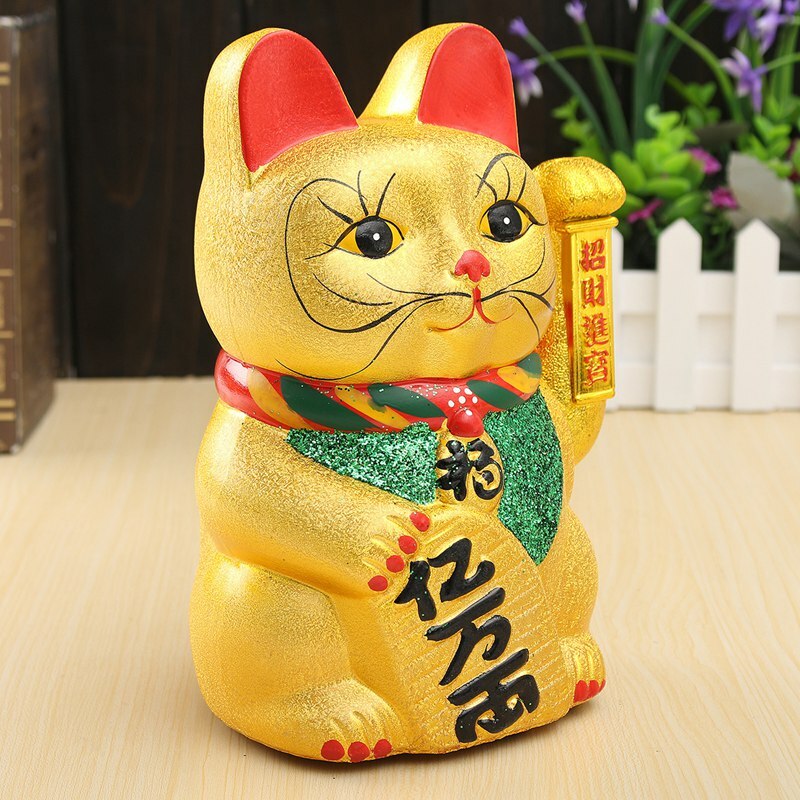 Exquisite ceramic manual colored drawing workmanship, bright colors, vivid and lifelike. 3. 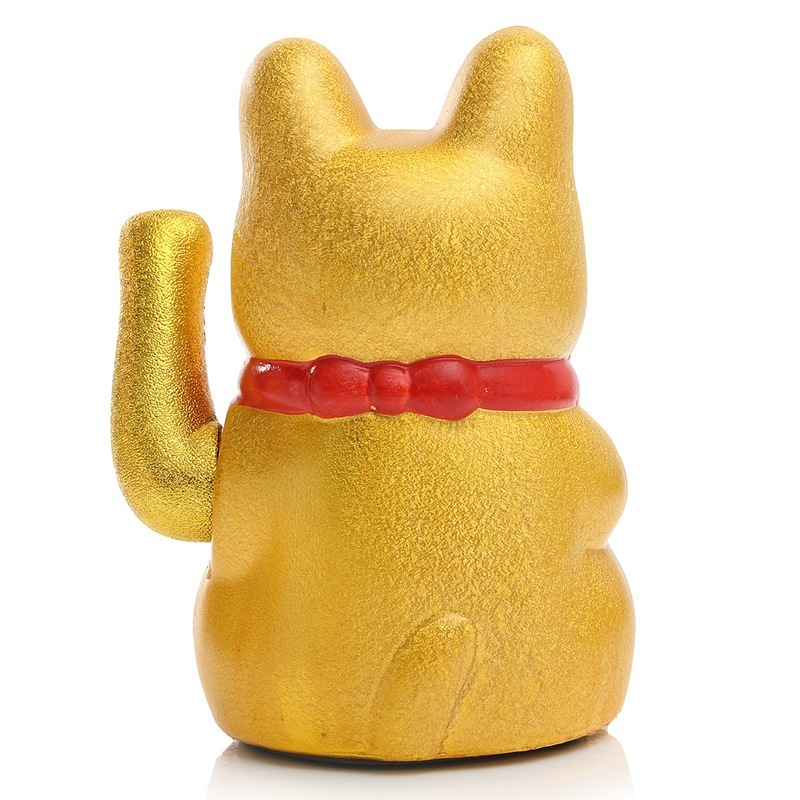 Very cute cat design and golden appearance, beautiful and compelling. 4. 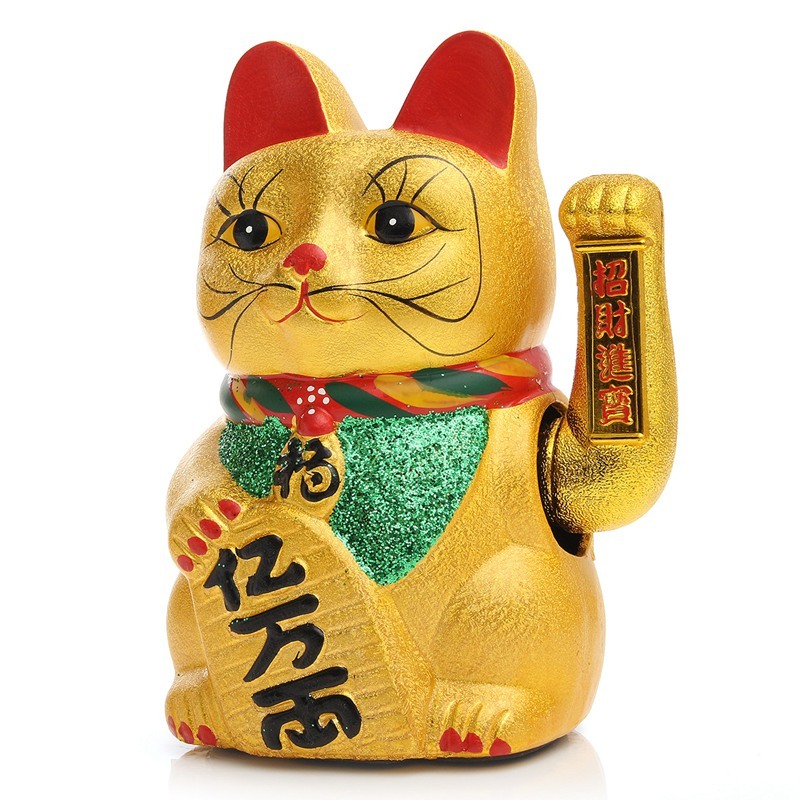 The cat hands will keep swing after install batteries, herald a bonanza, a thriving business. 5. 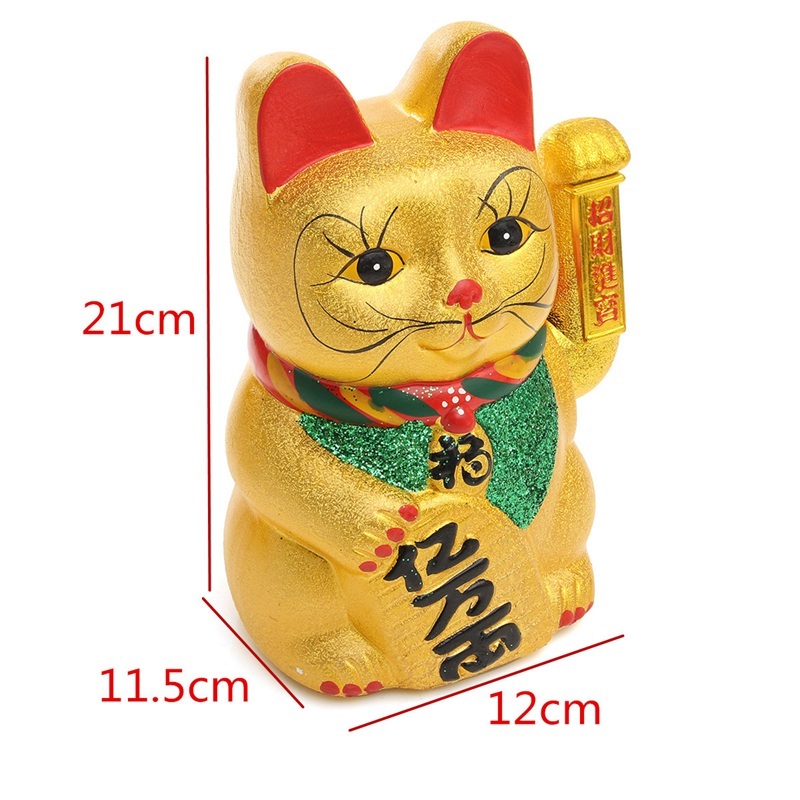 Suitable to open shops, office decoration, home decoration, birthday gifts, wedding gifts, etc, especially as a necessary for open a shop. Product was delivered very quickly. The figure is nice, but painting not very precisely as in photo. 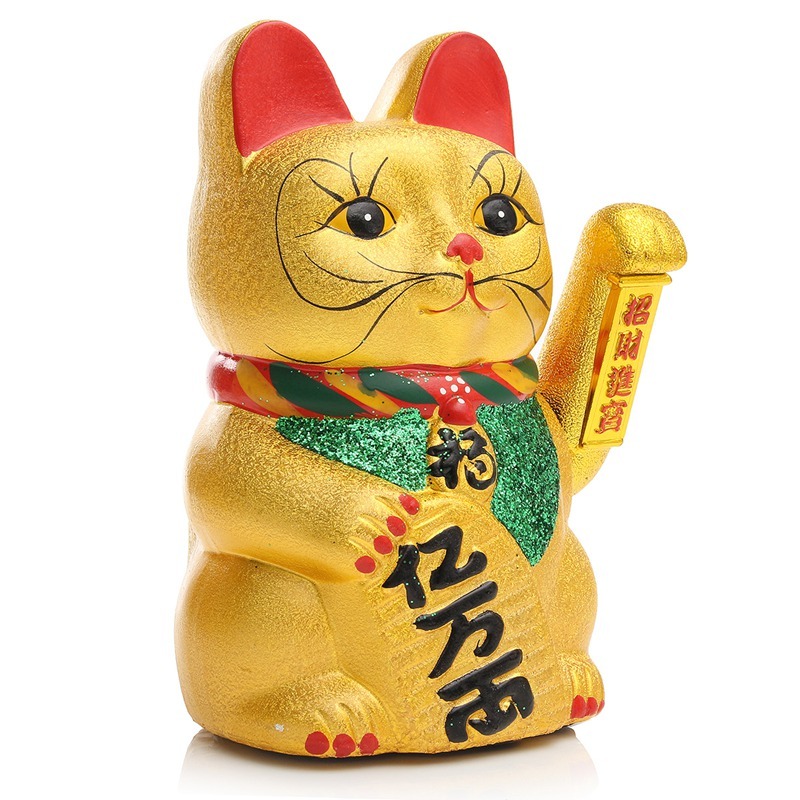 Little too big eye and moved mouths, but this is massively produced Chinese gold cat with a moving hand, so for this price is OK. Thanks!